Conor McCann has taken an impressive win at the McCann Cup, leaving his breakaway companions in the closing kilometres to clinch a solo victory. 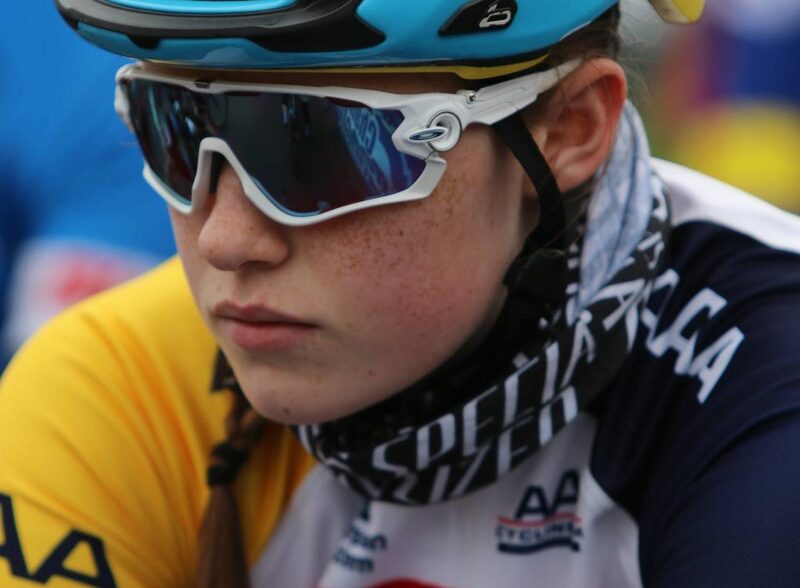 In the women’s event, Clodagh Ní Ghallchóir of AAA demolished the finish to win it very comfortably. Her finishing surge was so strong it put several lengths between herself and runner-up Elia Tutty of TC Racing. Rounding out the podium was Ciara Kelly (North Pole CC). Ní Ghallchóir has been among a small group of young Irish woman coming up through the scene in recent years and really impressing. Her finish today confirmed her status as a cut above and bodes very well for the remainder of the campaign. In the A3-Junior race Cathir Doyle put in a fantastic effort to win and, like Ní Ghallchóir, he looks to have wintered well and be in mint condition. The Powerhouse rider took off on his own and at one point had a gap of very close to two minutes. When that gap failed to come down and Doyle continued to drill a relentless pace, Thomas Creighton (McConvey Cycles) and Mark McGirr of Lakeland CC went after him. They had two laps to try and catch the loan leader. However, while they closed up on him, Doyle still had about 45 seconds on the line for a memorable win. Of the two chasers, Creighton came out on top to take 2nd, with McGirr 3rd and Oisin Doherty (Donegal Bay CC) proving best of the rest for 4th place. The A4 event was won in a bunch sprint by Darren Moody (Ballymena RC) from team mate David Swan and Conor McKenna (Clogher Valley Wheelers). 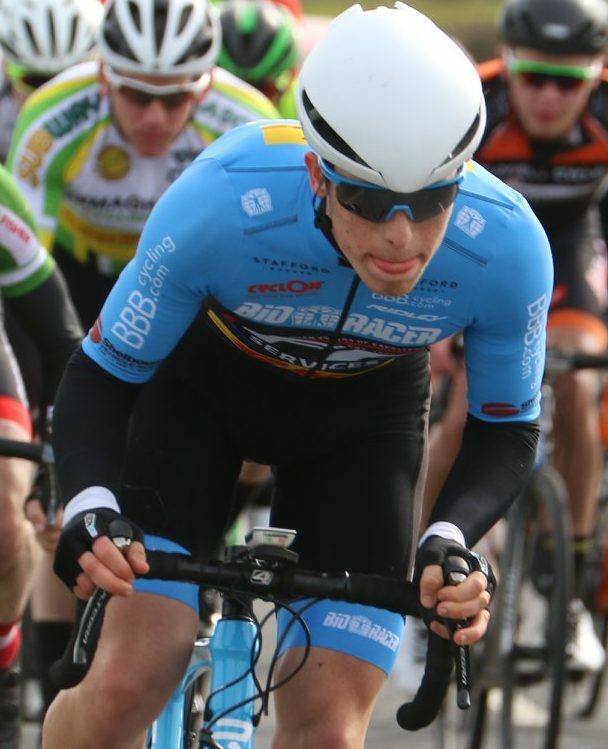 The Omagh Wheelers promotion men’s main event was a handicapped format, with eventual winner Conor McCann starting in the scratch and with time to make up. Rather than wait until the A1s caught those ahead, McCann attacked and rode clear in a three-man group. With him was Saturday’s winner of the Tour of Ards, Lindsay Watson of Powerhouse Sport, and recent Cycleways Cup winner, Angus Fyffe of Caldwell Omagh. Working together they caught the A2s, that group having seen lots of aggression and splits in the early stages. However, such was the combined strength of the three A1 men working together that they went through all of the A2s. They then pressing ahead again in a small escape group, with just one other rider for company. Henry O’Neill of Newry Wheelers proved a match for them; the only A2 rider able to stay with the three scratch men. Going onto the final lap the four-man escape group was still clear and the spoils were theirs for the taking. As that lead quarter raced in towards the finish, McCann gained the upper hand in the tactical racing in during the closing stages of the race. And with about 3km remaining he got clear solo. He initially eked out a gap and then put his head down to take a substantial advantage. That was the way it stayed to the finish; McCann coming in about 20 seconds clear of the others to win. Behind him Watson prevailed in the battle for the runner-up spot; taking 1st and 2nd on consecutive days. Fyffe rounded out the podium, with O’Neill taking an impressive 4th place and doing it the hard way; another good ride for Newry this year. Best of the rest of Fyffe’s team mate Darnell Moore, in 5th place, with Carn Wheeler Jonny Taylor getting up for a useful 6th on the day.